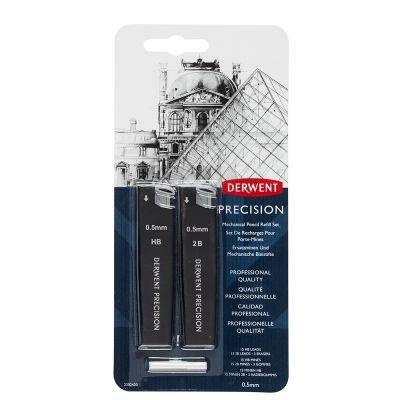 Refill lead and eraser set for the Derwent Precision Mechanical Pencil. The graphite leads have a strong point for extended use and minimal breaking. Giving asmooth laydown of graphite, they are ideal for fine detail and cross-hatching techniques. Each set contains 30 replacement leads in HB and 2B degrees available for both the 0.5mm and 0.7mm lead sizes. Three replacement erasers are also included. 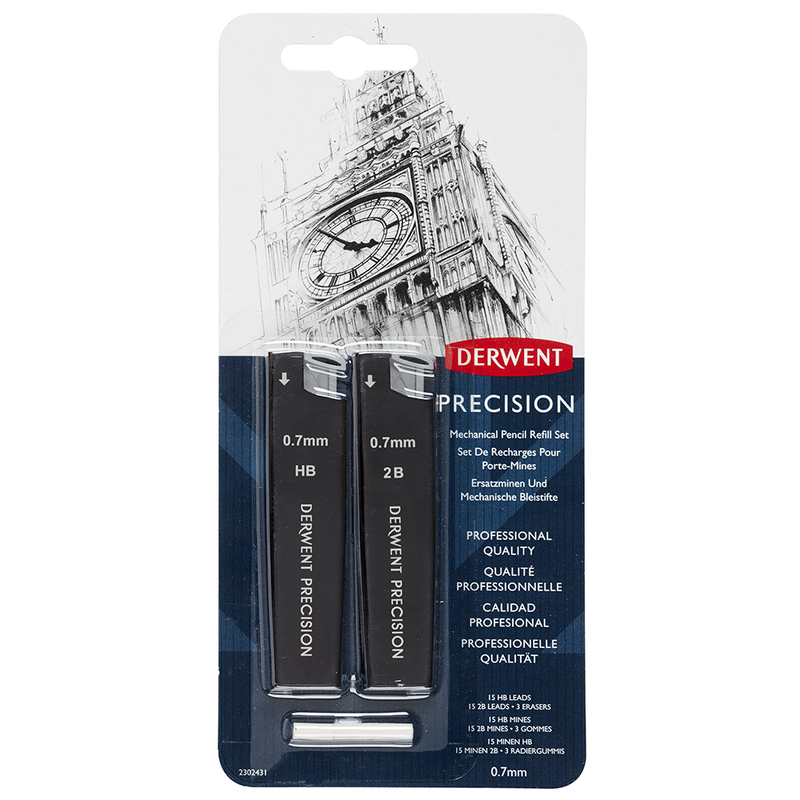 The Derwent Precision Mechanical Pencil can be found here.